Next message: Fco. 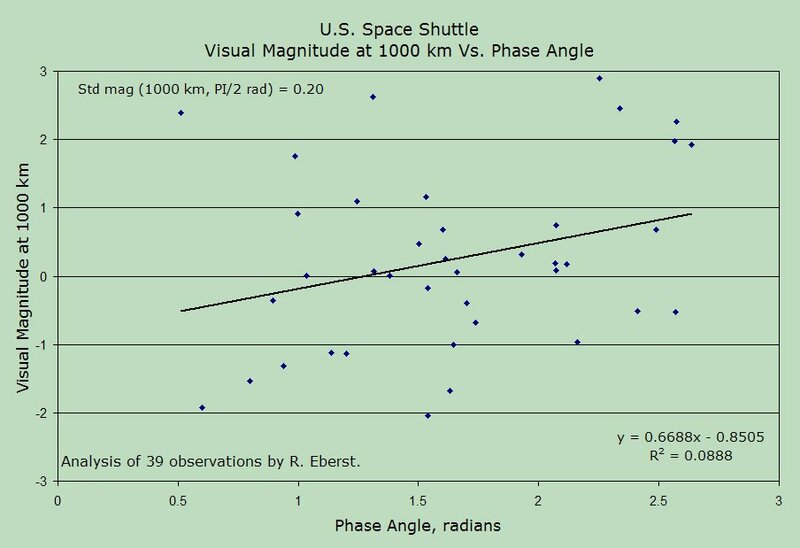 Javier Iruretagoyena: "Question about TLE"
Previous message: rfenske@swri.org: "Re: STS-114 undocking pass"
determine their standard visual magnitude. The standard magnitude is 0.2 (1000 km range, 90 deg phase angle). than the cargo bay and the top of the wings. should not be regarded as quality data." The standard magnitude is -1.3 (1000 km range, 90 deg phase angle). 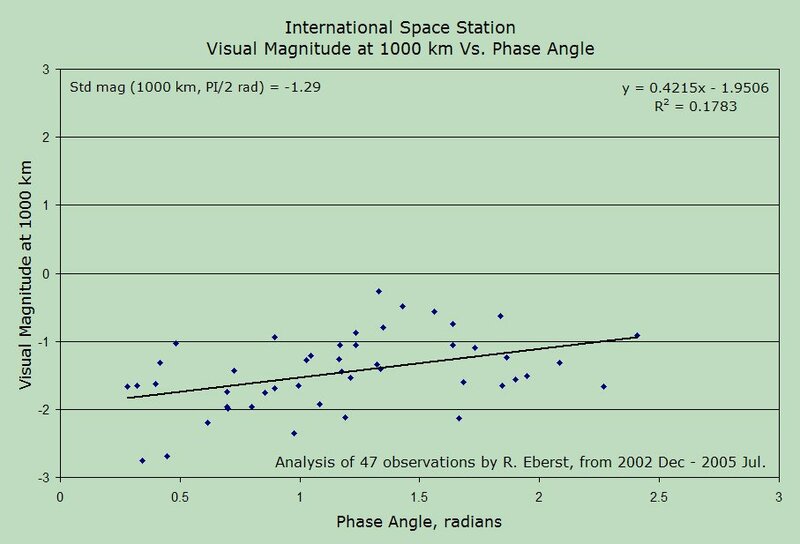 sufficient variation to frequently allow a shuttle to outshine ISS.